Use this Diamond C Trailer configurator to price and order your Diamond C Fleetneck Gooseneck trailer! Lead times on the Diamond C custom ordered goosenecks is around 7 weeks from order date. Once you submit your order we will contact you for a 25% down payment and get the trailer headed your way! Call 618-242-0800 with any questions! 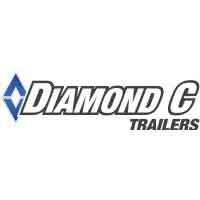 Browse these categories under "Diamond C Trailers"